New York to London in 3 hours and for half the price? Yes please. Lockheed Martin’s famous SR-71 Blackbird, a high-speed, high-altitude surveillance plane capable of reaching speeds in excess of Mach 3, is practically the poster child for supersonic vehicles. 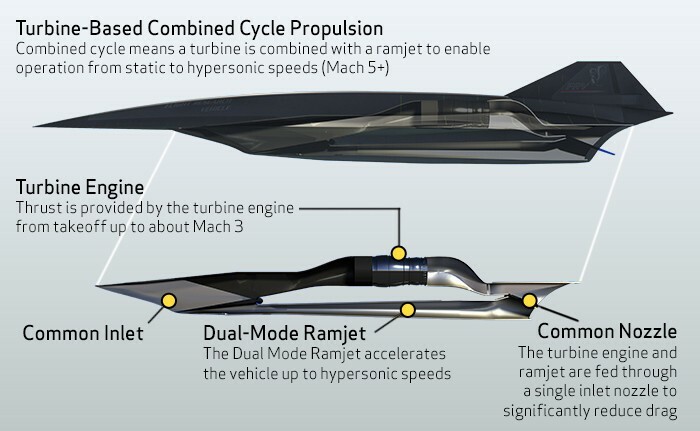 But now, with concepts such as the SR-72, the company hopes to pioneer aircraft capable of hypersonic speeds—Mach 5 and above. Most of the development in this direction has focused on unmanned vehicles—drones eventually, but mainly cruise-type missiles capable of evading detection and countermeasures through sheer unmatchable speed. But while such developments are mainly of a military character, research by Lockheed Martin to develop manned hypersonic aircraft could yield benefits for the commercial and civilian sectors. Lockheed Martin’s CEO Marilyn Hewson remarked, at the company’s “media day” on March 15, “Lockheed Martin has a legacy of making fast aircraft. We are now producing a controllable, low-drag, aerodynamic configuration capable of stable operations from takeoff to subsonic, transonic, supersonic and hypersonic, to Mach 6.”The company hopes to test a proof-of-concept hypersonic vehicle, about the size of an F-22 fighter, for less than $1 billion by 2018. 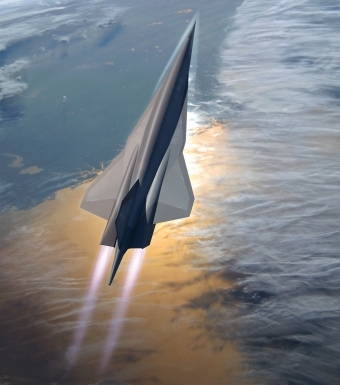 The hypersonic vehicle, moreover, is expected to have a pretty sophisticated engine system; most designs, such as the HAWC concept, envisions using a rocket-type booster to reach a sufficient altitude, whereupon a “scramjet” engine will take over, sucking in oxygen to boost the aircraft to sustained hypersonic speeds. But the test aircraft, like the SR-72, will do away with cumbersome, spacecraft-like stages. Instead, it uses what is called “turbine-based combined cycle propulsion”—a system in which a conventional, off-the-shelf turbine engine propels the vehicle from takeoff to about Mach 3, where a ramjet takes over to accelerate the craft to Mach 5 and above. Weapons are likely to be the prime focus in the next decade, but if the SR-72 really does reach service by 2030 (its target date), we could see the application of that technology to civilian purpose shortly thereafter. So, we eagerly await developments.